Based in Cardiff the club is run by Master Ian Lawes (8th degree) and Miss Debbie Lawes (4th degree). As well as winning many medals themselves and having over a combined 60+ years of martial arts knowledge, they have trained many students who have gone on to become both national and world champions. We have designed our classes to ensure that all students develop their physical ability, flexibility, co-ordination & confidence whilst progressing through the Taekwon-do syllabus. Ninja Dragons is a special class for children from 3 years of age . Ninja Dragons has a detailed syllabus that has been designed to prepare young children to enter the Junior Tae Kwon Do Syllabus. Tae Kwon Do is a Korean Arts of Self Defence devoted to train both the the body and the mind. In historical terms, Taekwon-do is relatively new, being founded by General Choi Hong Hi on 11th April 1955. The single name of Taekwon-do unified a number of ancient Korean martial arts and since then has become recognised world wide. 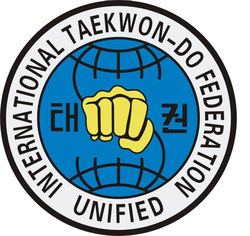 Typically, Taekwon-do for a student encompasses learning patterns (set movements created by General Choi), free sparring, set sparring, power techniques and learning Korean terminology. This gives students a wide range of activities to look forward to and keeps classes varied and fun.